I have just returned home for the BSA Show at Willowbog…Willowbog is in the wilds of Northern England 5 mile along a single track road off the main road network. It took me a total of seven hours travelling to get to the show and what a show. The Quality of display and the excellence of the trees is the best we have ever seen in one show in the UK. The BSA has really come into its own with the group producing a wonderful event with a great friendly atmosphere. John Armitage and Peter Warren were on hand to offer advice and they gave a ‘trade secrets’ demo/talk in the afternoon. Andy Hardman (who was celebrating his 50th Birthday) gave talk on Accent plants, the room was so full I could not get in! I also managed to interview two more potter for my potters showcase series. 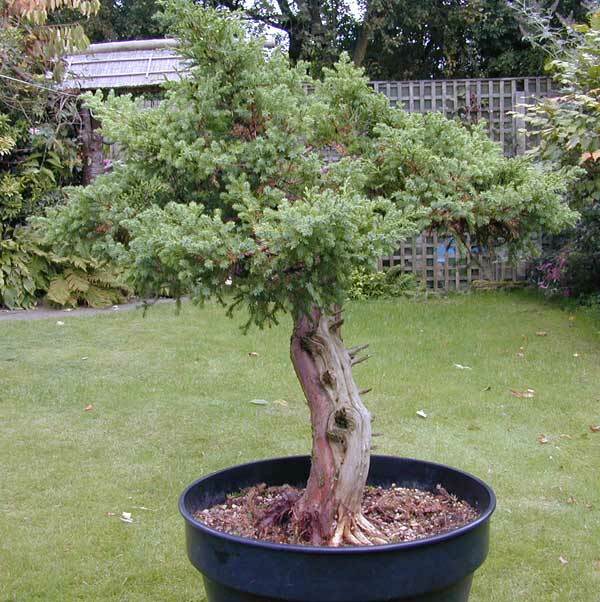 I have had this juniper for over ten years, I bought it because I wanted a Japanese Juniper in my collection, this little tree has been the most expensive tree in my garden, because I paid so much for this tree I have been reluctant to part with it, most of my collection consists of yamadori that I have collected. This tree was originally Moyogi with set branches in a typically imported tree. However the tree suffered from vine weevil about 7 years ago and lost but one branch! It has stood in my garden looking very sorry for all this time…. 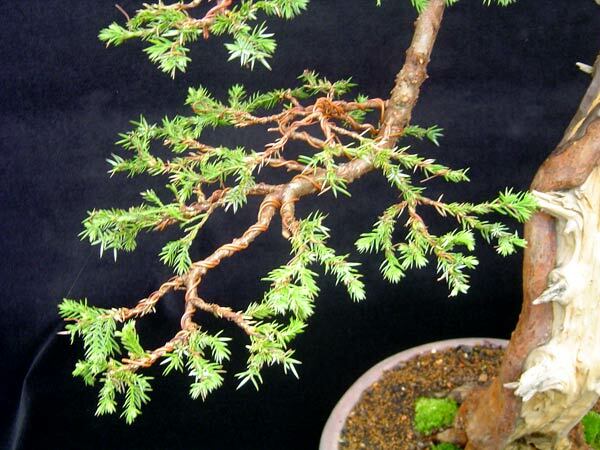 In fact…many of my bonsai ‘friends’ have made fun of me for paying so much for a runt of a tree. Some times a particular pot can stimulate an idea, this is one such pot. My friend from Holland Hans Van Meer, gave me this pot by William Vlaanderen because I believed this tree would ‘work’. The idea for this pot is Hans. 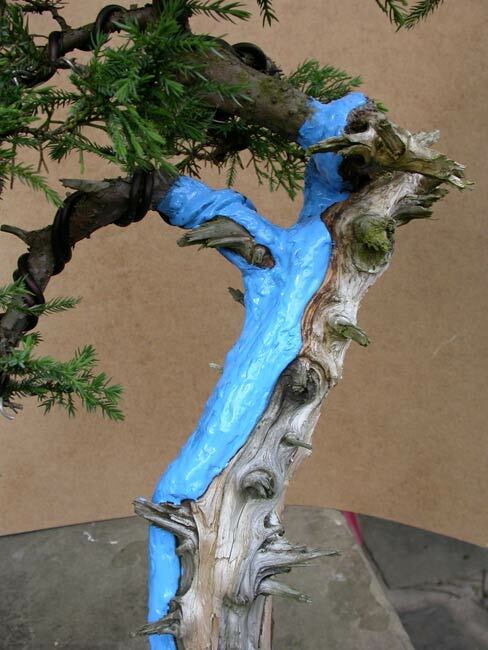 I think that this runt of a tree will develop into an interesting bonsai… you saw it here first…what do you think? I purchased this Sabina Juniper at the Noelanders Trophy in 2009, a year later I repotted the tree into the final planting position I wanted ready for styling. When the tree was collected it ‘appeared’ to lend itself as a semi or full cascade, however I was sure that it would make a very good ‘upright’ tree. The repotting was done exactly 12 months prior to styling. 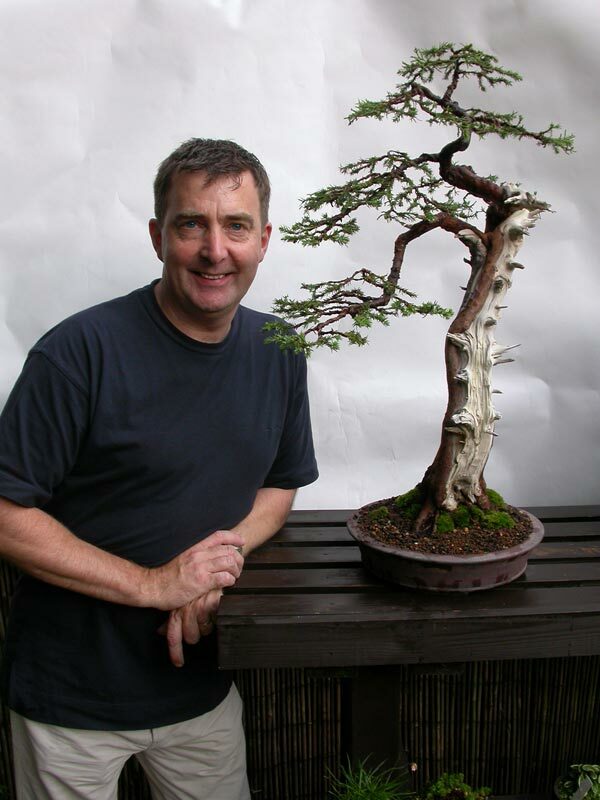 I worked the tree with Enrico Savini as a demo at the Best of British 2011 Bonsai exhibition in Birmingham UK. 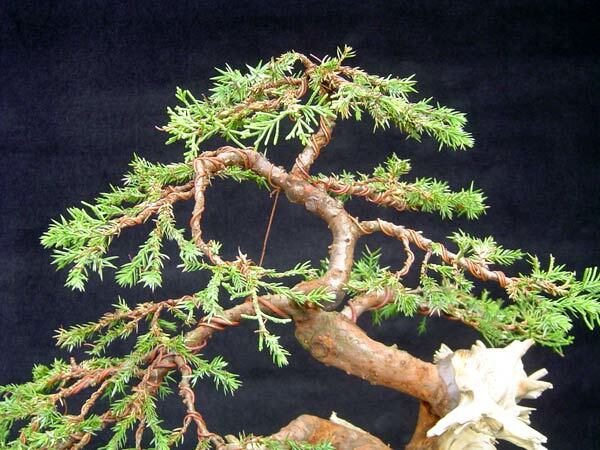 Creating a Shohin Juniper from mass produced imported material. 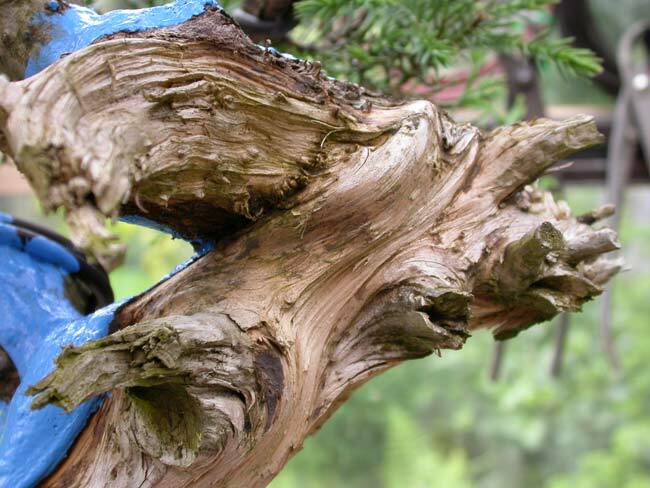 Japan, Korea and China produces these small junipers by the thousands, they can be purchased relatively cheaply and in some cases can be transformed into exception bonsai. 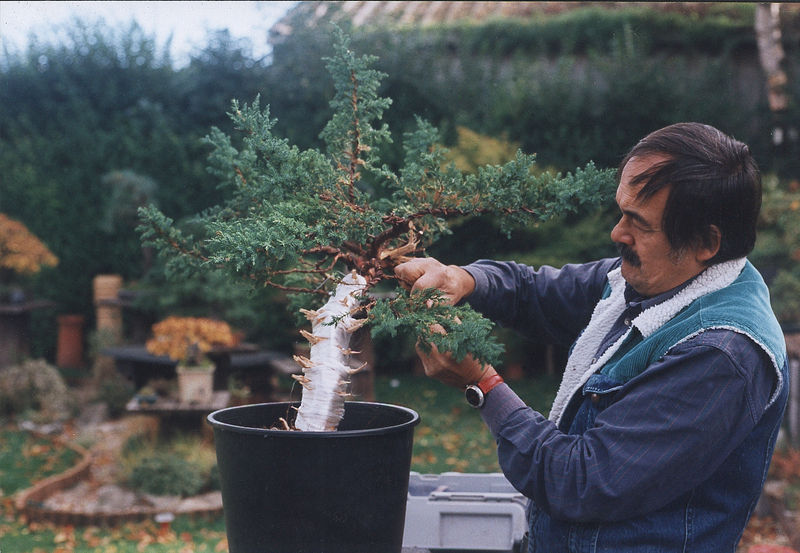 If you are considering purchasing one, look for compact trees that do not have too many twists and turns and little character… it’s better to have a tree that displays good taper, pleasing movement and healthy branches ready for styling. One of my students is preparing for the UK heat of the EBA New Talent Competition in 2013 (getting a good start) Mikey is styling as many small Junipers as possible leading up to the event next year. I supplied this little tree for him to work with. Mikey is still very much rough around the edges with his bonsai styling but he does have an excellent eye for detail. He tasked with styling AT LEAST one tree a week (funds permitting) and between styling he is pouring over every Bonsai book in my library. 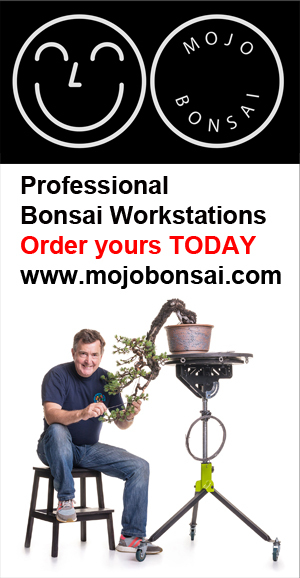 In the search to create bonsai that are mature and aged in appearance I am a prepared to go to extraordinary lengths. 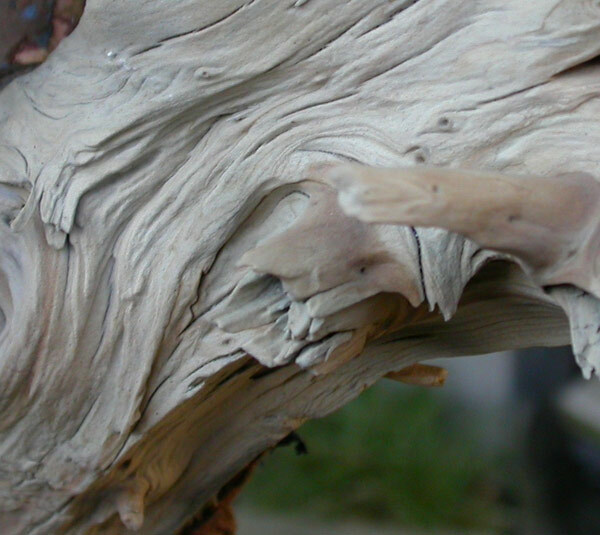 In this article I am concentrating on the creation of natural looking, aged deadwood. 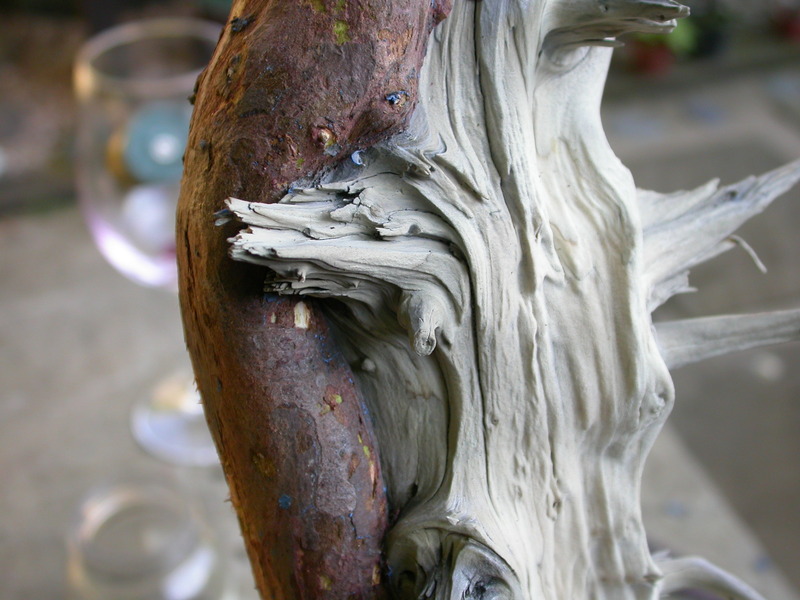 Bleached deadwood is a natural phenomena on ancient mountain trees, the bristlecone pines in The White Mountains of eastern California are thousands of years old and display copious amounts of deadwood, old yew trees in exposed locations exhibit wonderful white deadwood. 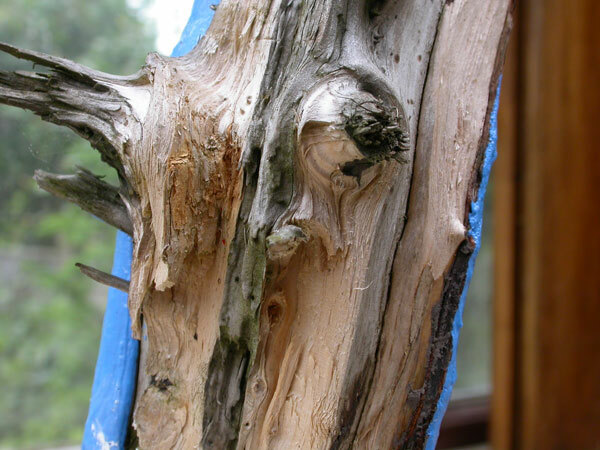 Unless you are lucky enough to have access to old yamadori creating that authentic ‘ancient’ deadwood look is difficult and requires specialist tools. 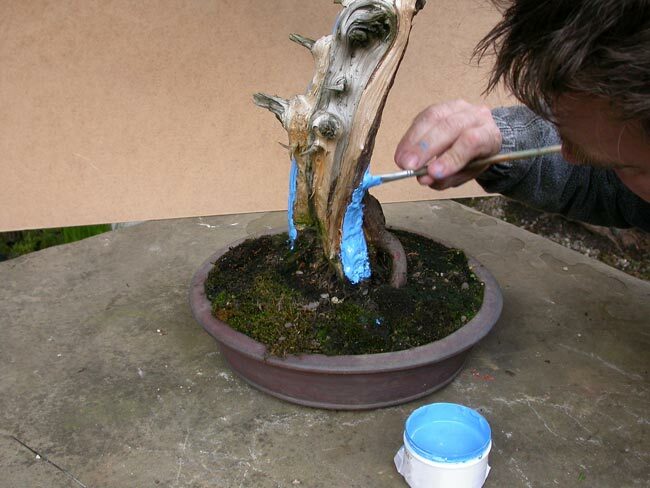 Over the last few years many bonsai artists have been creating deadwood using electric carving tools, chisels even fire! 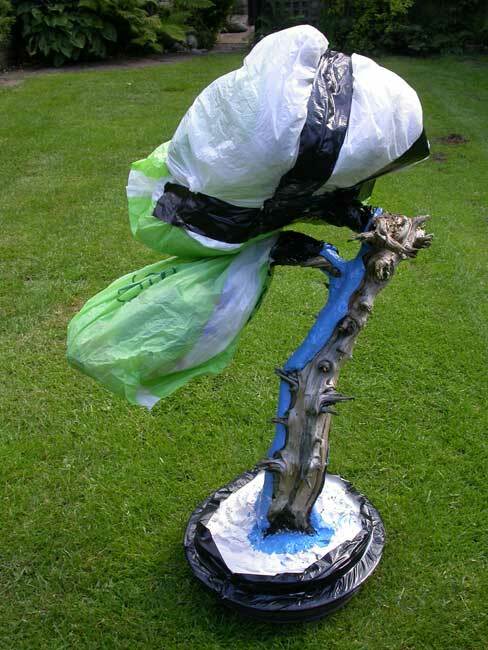 And some of the results appear very convincing, however great skill is used in all aspects of styling and horticulture but the effort is wasted if the viewer is aware that the bonsai has been ‘carved’. In 1992 I started my search for the creation of ‘perfect’ authentic deadwood, how is deadwood created? What happens to the live that is left? I went back to nature and found the answer… weather, sandstorms, high winds, rock falls… all I had to do was recreate these conditions and my search would be over! The answer was Sand blasting… it had high winds… sand! And perhaps more than anything else it was controllable so long as you took precautions to protect the parts of the tree that where to unaffected. The material used is a San José Juniper. 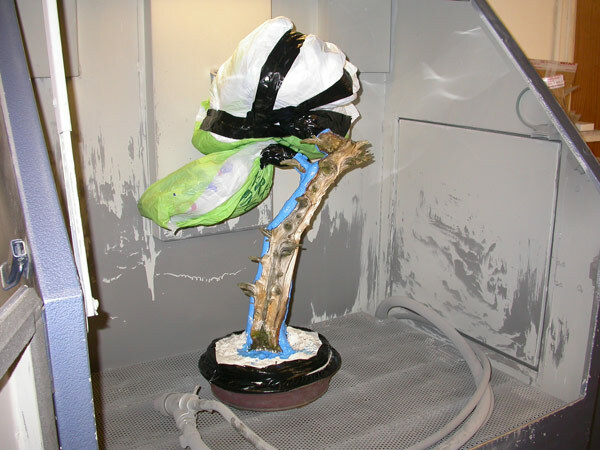 The original tree was field grown by Dan Barton and the original creation of the Shari was created in a one to one with Dan ten years prior to the final styling and blasting work on the deadwood. 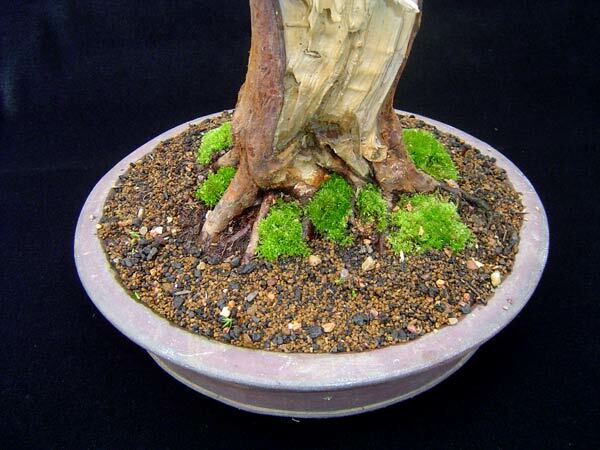 This bonsai has been created over a period of twelve years, (seven in the ground) over that period the thickening of the life lines creating robust ‘tubes’ of deep red bark. 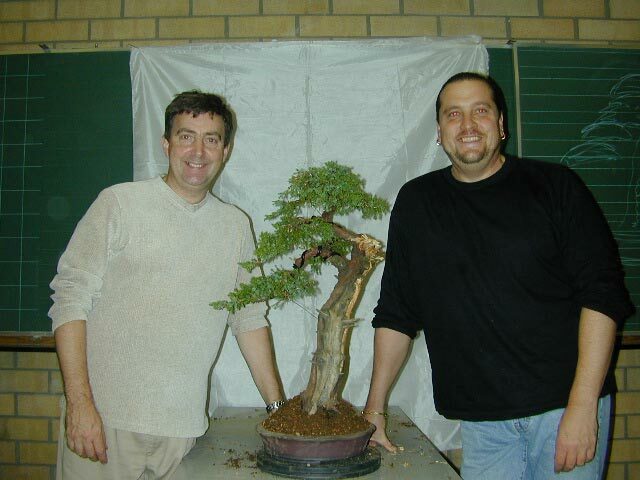 After a period of Ten years I chose to style the tree at the Belgium Bonsai Association Annual show near Antwerp with the deadwood being further extended. The style displayed being considered many years prior to the demonstration. 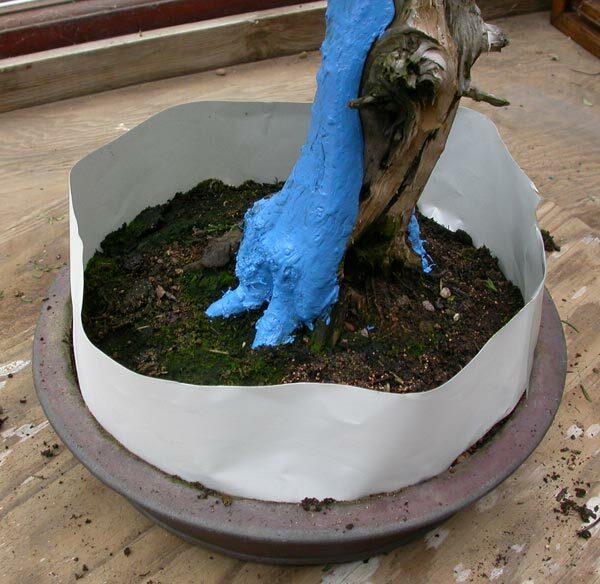 The original creation of the Shari with Dan Barton, this work was done over the winter months so the tree was tightly wrapped with nylon wadding to protect from frost and to callus well. The nylon wadding was removed after a full growing season. Here is Dan initially positioning branches to create movement close to the trunk. After seven years growing in my field the tree was transferred to this plastic pot. The soil mix was very open and the tree was heavily fertilised. The life lines are very pronounced, this adds a great deal to the aged look. It is important to start with good material if you wish to create a dynamic end product. Ten years of cutting and growing and cutting hard back every three years have created a dense crown and excellent movement and natural taper. The tree at the end of the Belgium Bonsai Associations demonstration. Hans van Meer helped with the wiring and repotting into an Ian Baillie pot. The Audience were quite surprised that I worked on the top of the tree and the roots at the same time. The tree was very healthy and having worked it for so long I knew the exact condition of the roots and just how much I could remove. When the tree was back home in my garden Burlap was used to cover the exposed root at the back of the tree; because the planting angle was changed the root ball was left exposed. Sphagnum moss was used to ensure that it stayed moist. The life lines are very powerful; this gives a great feeling of age. 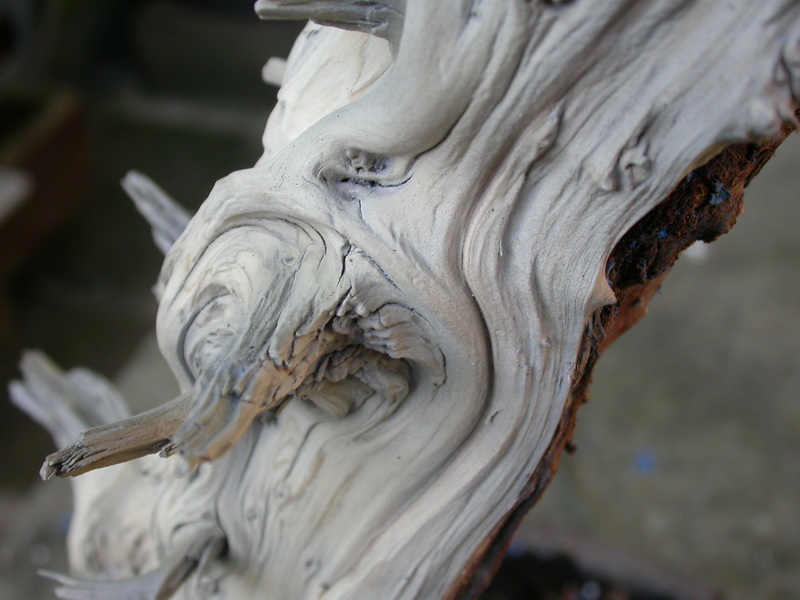 Getting the deadwood to be ‘ancient’ alongside these lifelines is the objective. 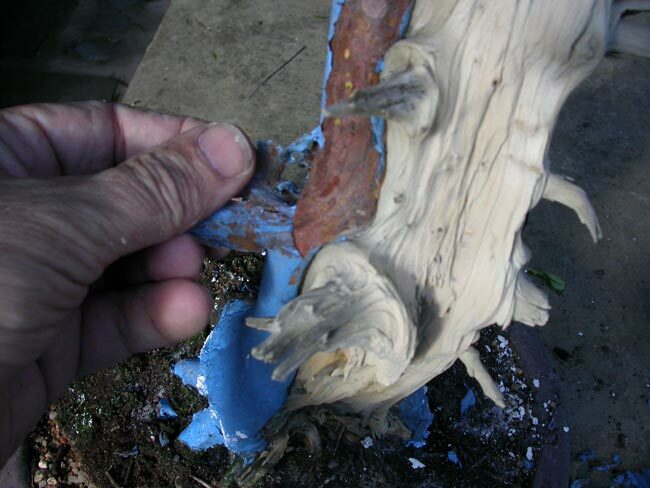 All areas of the tree that are to be ‘aged’ are left exposed. All other areas must be protected as the process is very aggressive. 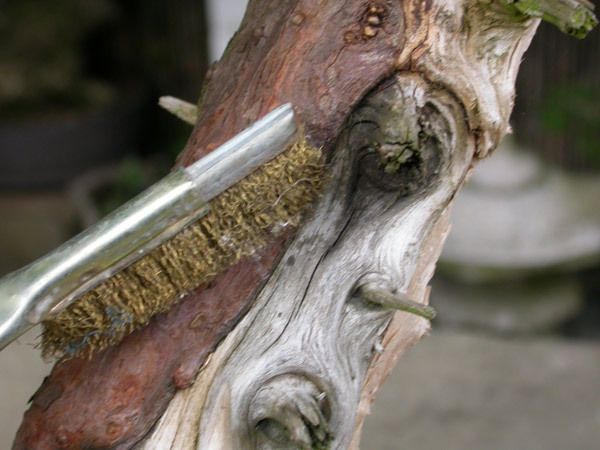 Here I use a brass wire brush to removed flaky bark so that I can ‘paint’ a rubberised solution to protect the live from damage. Painting on the rubberised solution. The important part is to protect all areas, this is the best technique. 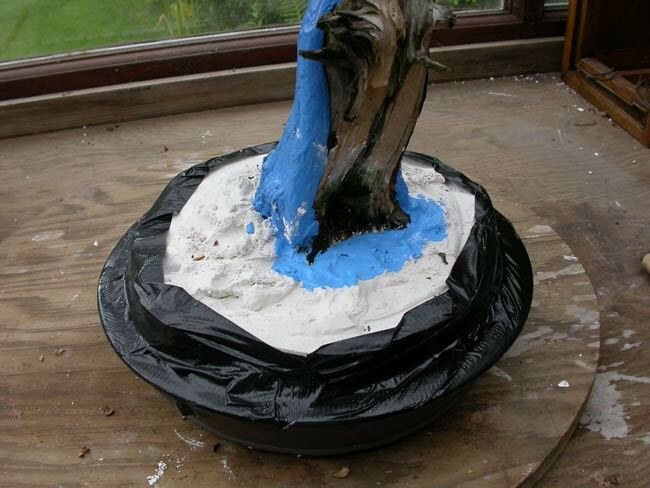 You can also use Plastacine but ensure that it is warm when to apply because it will ‘stick’ better. Plaster of Paris is used to protect the soil and pot. Carpet tape created a seal between the plaster and protects the edge of the pot. The deadwood is all hand tooled and stripped. The rougher the better! I only use power tools to remove ‘bulk’ the final working is hand done. Inside the blasting unit. Very fine sand is used at a pressure of 110 psi this gives the best balance between removing the softer wood and keeping the detail. A tree of this size usually takes about an hour to complete in the Blast box. A transformation in the finish of the deadwood. Replicating nature by shortening the weathering process. The live part of the tree has not been touched by the blasting. The rubberised solution gets into every area and the blaster can get in as close to the live without damage. The nebari is finally checked and improved by removing small roots that cross the major roots. The surface of the soil is dressed with a mixture of ‘Fujigrit’ and Acadama. Moss is placed to add colour and interest. The top of the tree is created, all the main branch placement has been created over the last six years so in the final styling of the tree no think wire has been used. The tree has now had its final styling. The day that this photograph was made is the first day this tree can be called a bonsai. It has many years in development before it is in ‘show’ condition. 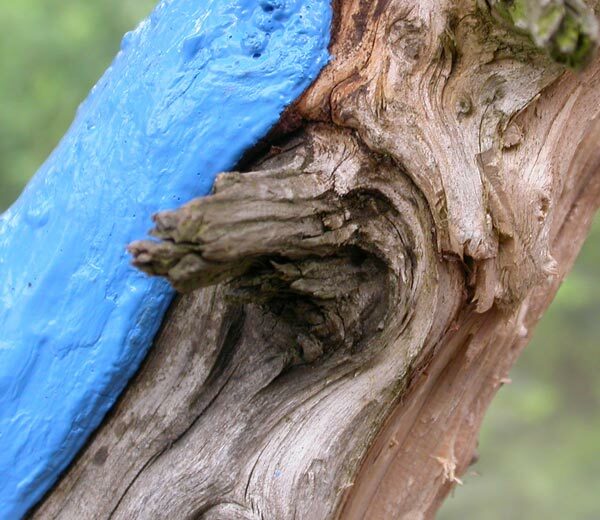 It needs to mature in foliage, and the deadwood must develop a patina that only age will give. All the work done over the last twelve years is to prematurely ‘age’ the tree in the eye of the viewer, the creation and placement of branches the early establishment of the shari and the constant improvement of the nebari complete the picture. This tree in years is only 15 but hopefully it looks much older, and with time will soon look ancient.